UGA’s Nick Chubb has been named the AP SEC Freshman of the Year, the Associated Press announced today. 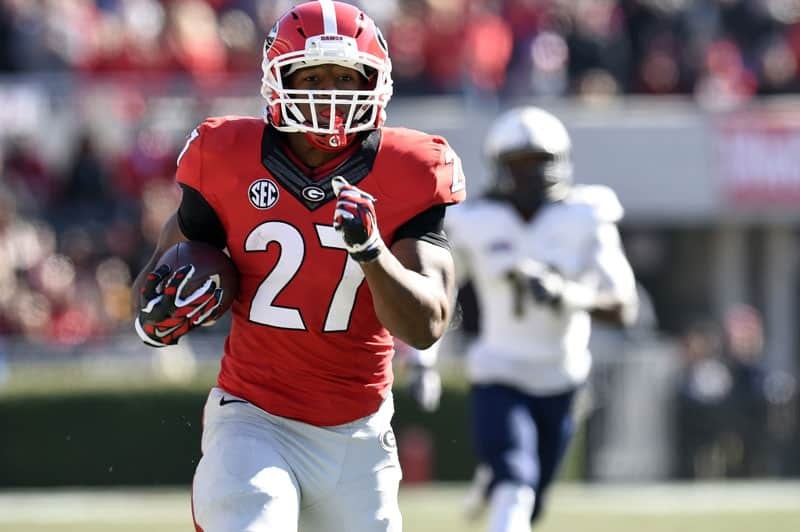 Chubb, a native of Cedartown, Ga., has rushed 186 times this season for 1,281 yards and 12 touchdowns. He also has 18 receptions for 213 yards and two TD’s. Chubb was also named to the AP All-SEC First Team Offense, along with Cameron Artis-Payne of Auburn. Linebacker Amarlo Herrera was named to the First Team Defense, while offensive lineman Greg Pyke and center David Andrews were each named to the Second Team Offense. Cornerback Damain Swann and linebacker Ramik Wilson were named to the Second Team Defense. Marshall Morgan (PK), John Theus (OL), Leonard Floyd (LB), and Quincy Mauger (S) all received honorable mentions.